The Builder That Gives You More! At Omega, we understand that each buyer's needs are unique, which is why we offer 6 distinct single family home designs to choose from when building on your land, or ours. Our Build on Your Lot program offers you many options to personalize our home designs, whether you need just a home, or if you need a lot and home package. Click here for our included features. Escape to resort living at home with the Claremont design. Thru the 2-story foyer to the great room, you will pass the formal dining room and a private entrance to the first floor owner’s suite. As your view follows the sloping ceiling of the great room, you will find a loft above reminding you or your favorite ski lodge, just beckoning you to relax and unwind from the day. But first dinner will need to be prepared in this inviting kitchen with an over sized pantry. Engage in conversation while working in the kitchen with family and guests as they are seated at the kitchen bar or in the great room. Just a few steps from the kitchen, you will find a conveniently located laundry room, in the case you need to multitask while preparing dinner. Even thought the elegant master suite features his and hers walk-ins and a corner soaking tub, this home is not all about the owners; it also boasts two nice size bedrooms and a full bath at the 2nd floor. With very few dividing walls the Claremont is sure to feel larger than the square footage on the blue print. Upon entering the front door from the covered porch a spacious foyer awaits offering a view into the bright and spacious family room. Turned stairs with open railing lead down to the basement; offering great storage/workspace or future finished living space. Making your way into the family room the kitchen and dining room are revealed. The raised breakfast offers additional seating; great for entertaining and everyday family living. The split bedroom design offers privacy from the secondary bedrooms and hall bath on one side of the home to the master suite on the opposite side. You will find lots of storage space in the master suite with the large walk-in closet and built-in linen cabinet in the master bath. Entering from the 2 car garage a convenient drop-zone offers space to set down groceries, mail, keys and keep you organized. From this rear foyer you’ll also find a coat closet and convenient laundry room. Come in and see how this home can be personalized for your lifestyle! 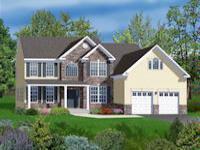 The distinctive Hampton offers expansive living for you and your family. Consider the 16 x 14 family room with optional gas fireplace. Expand your view by selecting a bay window to overlook the back yard. Quality time in the breakfast area in the designer kitchen that includes an island with a breakfast bar. Increase possibilities with the addition of a morning room. Entertain friends in the formal dining room and separate living room. Add elegance and style with two additional bay windows in those formal rooms at the front of your Hampton. Consider the efficiency with the extra large laundry on the bedroom level. Walk in closets in all bedrooms. Enter the owners' quarters through double swing doors. Experience true luxury in the master bath with separate tub and shower. Call today for your personal introduction. 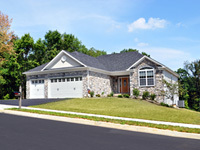 Let the Shelby introduce you to the quality and value offered by Omega Homes throughout the Lehigh Valley. 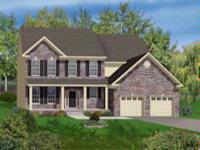 From the 2-story foyer to the formal living room, features abound to enhance your lifestyle. 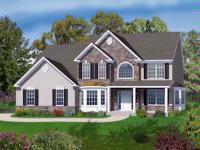 Make the Shelby your own with added bay windows, stone exteriors and select details. Raising a family can be easier when the family room is warmed by a gas fireplace. Prepare family meals in the open kitchen and share quality time at the breakfast bar. Choose the morning room with triple windows and a slider that let’s the sun shine into your bight surroundings. Meanwhile upstairs, enjoy the open feel of the loft that overlooks the foyer. Marvel at the value designed into the bedrooms as you appreciate the convenience of the laundry room on the same level. Enter the owners’ retreat where you’ll find dual walk-in closets leading you to the bath where you may choose an optional bath plan with soaker tub and separate shower. Appeal abounds from the curb to the kitchen and above. Make your lifestyle decision today and call for your VIP appointment. communities in Allentown, Bethlehem and Easton and surrounding areas for over 25 years. We're the new home builder in the Lehigh Valley that 'Gives You More'. © Copyright 2019 Omega Homes. All Rights Reserved.